Born 12 Jul 1922; died 6 Sep 1956 at age 34. Born 12 Jul 1913; died 15 May 2008 at age 94. Willis Eugene Lamb, Jr. was an American physicist and joint winner, with Polykarp Kusch, of the Nobel Prize for Physics in 1955 "for his discoveries concerning the fine structure of the hydrogen spectrum." His experimental work spurred refinements in the quantum theories of electromagnetic phenomena. Russian-American physical chemist, a world leader in vacuum science and technology, a GE assistant director of research and author of several standard scientific textbooks. One example is Scientific Foundations of Vacuum Technique (1922). It is very readable and he gets to the hows and whys things work the way they do. One of the true classics, it was completely revised in 1961 by his colleague James Lafferty. Using a formula he derived, Dushman calculated the conductances for cylindrical tubes based on their measured dimensions and produced the table which he included in the book that is still used to design a vacuum system. Born 12 Jul 1863; died 29 Oct 1933 at age 70. William Osler: A Life in Medicine, by Michael Bliss. - book suggestion. American author, philosopher, poet and naturalist, whose classic Walden; or, Life in the Woods has become a classic on the ecological relationship of man in an industrial society. He was a pacifist, whom Ralph Waldo Emerson would help out of trouble. Thoreau's moniker of the "Hermit of Walden" came from living in the woods around Walden pond for several years. Later in his short life, Thoreau turned his attention to observing and keeping thorough journals recording of the natural history around Concord, New Hampshire, where he was regarded as the town naturalist. Many scholars consider Henry David Thoreau to be the father of the American conservation movements. He died of tuberculosis at age 45. French physiologist who is noted for his discoveries about the role of the pancreas in digestion, the glycogenic function of the liver, and the regulation of the blood supply by the vasomotor nerves. He helped establish the principles of experimentation in the life sciences. His Introduction to the Study of Experimental Medicine (1865) is a scientific classic. Born 12 Jul 1730; died 3 Jan 1795 at age 64. English inventor, artist and potter who began a new branch of the pottery industry in the early 1760's. This inventor placed the manufacture of stoneware on a scientific basis, and founded the potteries of North Staffordshire. The agateware and unglazed blue or green stoneware he decorated with white neo-classical designs, used pigments he invented. In 1768 he used his engineering skills to design the machinery and high-temperature beehive-shaped kilns. For his invention of a pyrometer for measuring high temperatures, Wedgwood was made a fellow of the Royal Society. He was a major financial supporter of Dr. Thomas Beddoes' Pneumatic Institute near Bristol, where Humphry Davy studied nitrous oxide (1800). Wedgwood: The First Tycoon, by Brian Dolan. - book suggestion. Died 12 Jul 1938 at age 68 (born 24 May 1870). Ynes Mexia: Botanist And Adventurer, by Durlynn Anema. - book suggestion. Died 12 Jul 1934 at age 57 (born 19 Apr 1877). Died 12 Jul 1910 at age 32 (born 28 Aug 1877). Died 12 Jul 1892 at age 72 (born 30 Nov 1819). American inventor of the smooth-bore cannon that was, from its shape, familiarly known as the “soda-water bottle.” The shape resulted from a design in which the thickness of metal was varied to match the differences in internal pressure occurring when the cannon was fired. The pressures were determined by boring holes in the walls of the gun and inserting as gauges such objects as pistons or musket balls. He developed the weapons primarily for use on small boats that patrolled the waterways. 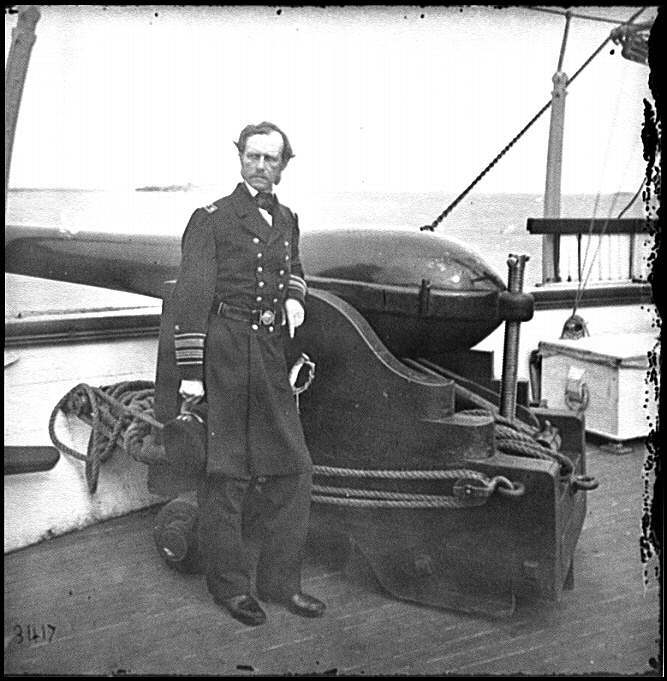 His iron smoothbores were adopted in 1850 (9-inch gun) and 1851 (11-inch gun). Although designed for use against wooden ships, the iron-clad Monitor class ships carried two of these guns in their turrets, which were replaced by the 15-inch Dahlgrens in 1862. Booklist for John Adolphus Bernard Dahlgren. Scottish civil engineer who in 1797 succeeded his stepfather, Thomas Smith, as a member of the Scottish Lighthouse Board. In that capacity until 1843, he designed and built lighthouses (1797-1843). His first and greatest was the lighthouse at Bell Rock. Subsequently he established a civil engineering practice involved at first in canal, road and rail projects, and later maritime, river and bridge work. As chief executive of the Northern Lighthouse Board (1808-43) he was responsible for the construction and design of at least 23 lighthouses on the Scottish Coastline. He invented intermittent and flashing lights as well as the hydrophore (an instrument for obtaining specimens from water). The writer Robert Louis Stevenson was his grandson. Traveler in a Vanished Landscape, The Life & Times of David Douglas, by William Moorwood. - book suggestion. Died 12 Jul 1807 at age 66 (born 10 Aug 1740). In 1920, the Panama Canal was formally dedicated. It had taken more than 30 years to overcome the enormous engineering challenges and complete at a cost of $347 million. The first ship had, in fact, travelled through six years earlier when the Panama Canal opened to shipping on 15 Aug 1914. At that time, the world scarcely noticed the event since German troops were driving across Belgium toward Paris and the newspapers relegated the Panama story to their back pages; the greatest engineering project in the history of the world had been dwarfed by the totality of World War I. In 1870, a U.S. patent (No. 105,338) for an improved process to produce celluloid was awarded to John Wesley Hyatt, Jr., (1837 - 1920) the man considered to be the “father of the U.S. Plastics industry,” and his brother, Isaiah S. Hyatt of Albany, N.Y. In the early 1860's he sought a substitute material for ivory billiard balls. He improved the techniques of molding pyroxylin (a partially nitrated cellulose) with camphor by dissolving in an alcohol and ether mixture to make it softer and more malleable. This he called “Celluloid,” a name trademarked on 14 Jan 1873. It was the first synthetic plastic. Unfortunately, it was inflammable, but was used for a period for production of photographic film, among other applications. In 1859, the paper bag manufacturing machine was patented by William Goodale, Mass.